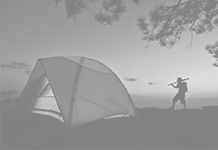 Many people like to combine camping trips with other outdoor activities such as whitewater rafting. 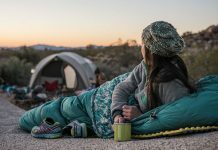 This is an excellent way for outdoor enthusiasts to get the most out of their adventure. 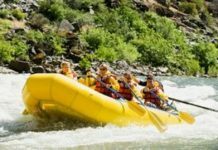 There are dozens of great places around the world for whitewater rafting and these are some of the best. 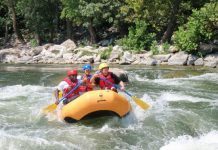 This is an excellent spot for experienced rafters as it offers intense waters as well as breathtaking scenery. The deep blue waters originate from the lakes of the Andes Mountains and Los Alerces National Park. The river has some excellent drops and provides long periods of action. 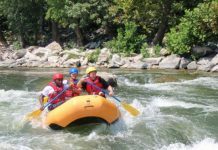 One of the most intense areas is known as the wild mile, which consists of several wicked rapids. This river provides close to 70 miles of whitewater action in different stages of difficulty. 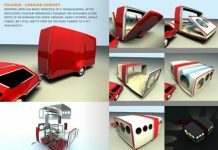 It’s divided into three sections known as lower, upper, and upper upper. 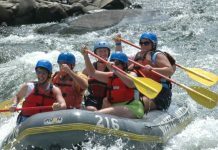 The degree of difficulty ranges from Grade two to five, which makes it ideal for both beginners and experienced rafters. 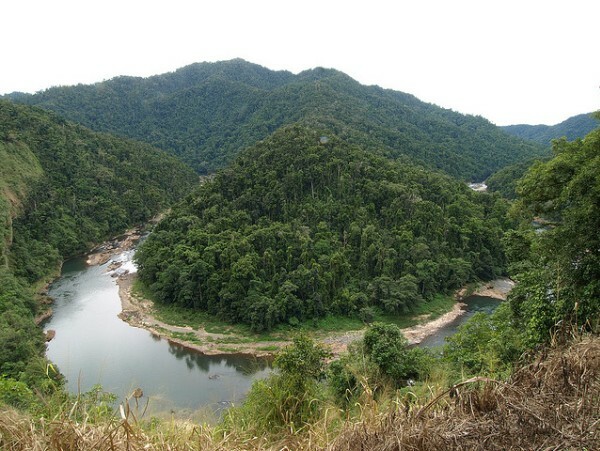 The river offers some wonderful views of the surrounding lush rainforests and you’ll have the chance to see some of the area’s fascinating wildlife, such as exotic birds, jaguars, and monkeys. The Ottawa River runs between the provinces of Quebec and Ontario. 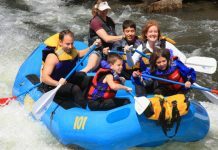 The large waterway is the most popular in the country for kayaking and whitewater rafting. You’ll find families here as well as experienced rafters who journey down a river valley that’s believed to be close to 175 million years old. You can either take a relaxing canoe trip on the river or whip through the rapids as fast as possible. Many people take a week-long expedition down the North Johnstone River, which is located in the World Heritage rainforests of Queensland. 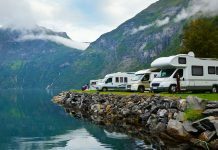 You can start the trip with a helicopter ride to the river and then navigate your way into the Grade five rapids and spectacular Australian scenery. 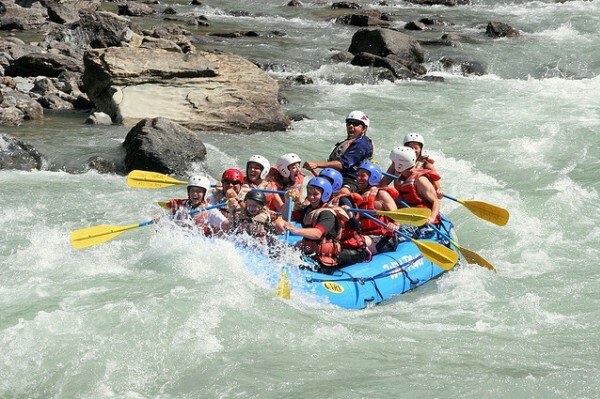 This is an ideal journey for experienced rafters and campers as it whips up some demanding rapids. This trip takes you past the Bujagali Falls, which are close to the mouth of famous Lake Victoria. 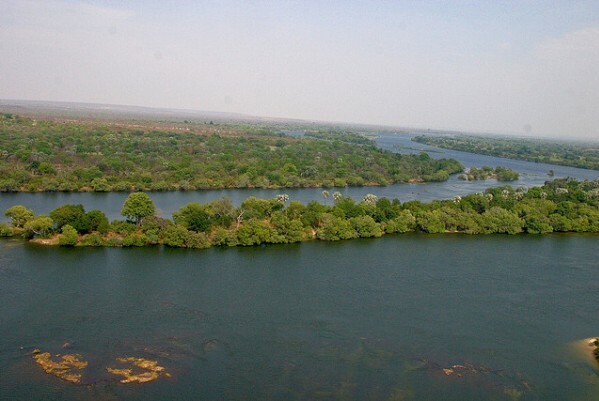 The White Nile is actually a tributary of the Nile River and it flows through several African nations before it reaches Uganda. 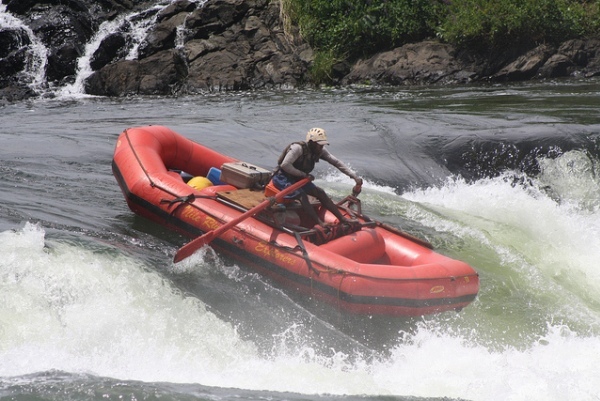 You’ll find numerous rafting companies in the area as Uganda houses the most exciting part of the river for rafting with its Grade Five rapids mixed in with peaceful waters. Needless to say, the scenery is out of the world. 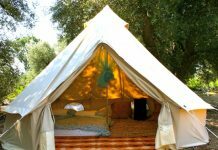 This is one of the best areas to combine camping and rafting. When you get to the park head over to the Flathead River. The park itself is over a million acres and features about 700 miles of hiking trails. 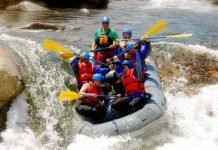 The river offers about 160 miles excellent rafting water, which originates from the famous Rocky Mountains. These intense waters are for experienced rafters only. 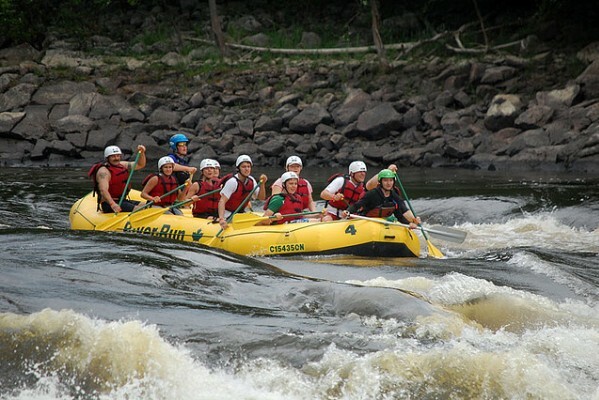 The river features challenging rapids and some pretty intense swells. Victoria Falls divides the river into middle and upper sections. In total, the river stretches about 1,600 miles and offers some excellent African scenery along it. You’ll likely come across crocodiles and hippopotamuses where the waters are calm. 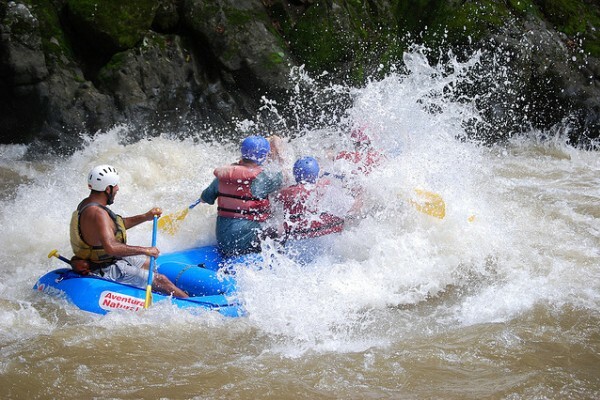 When you get to Batoka Gorge, you’ll experience some massive drops along with raging rapids. The Apurimac is the largest river on the planet and it also sources the Amazon River. 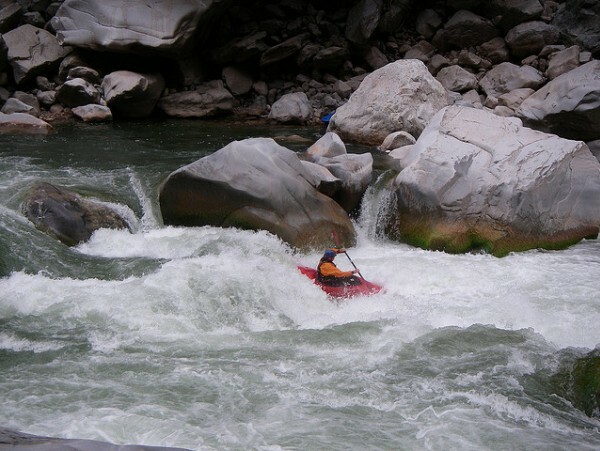 The area in southern Peru provides Grade four rapids as well as some magnificent wildlife. 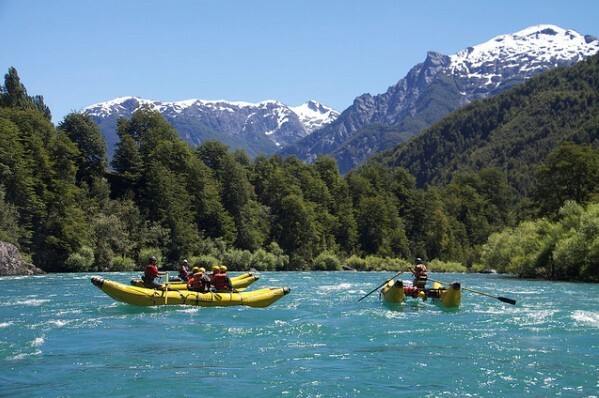 It’s an ideal place to spend a few days and combine the rafting with an adventurous South American camping trip.